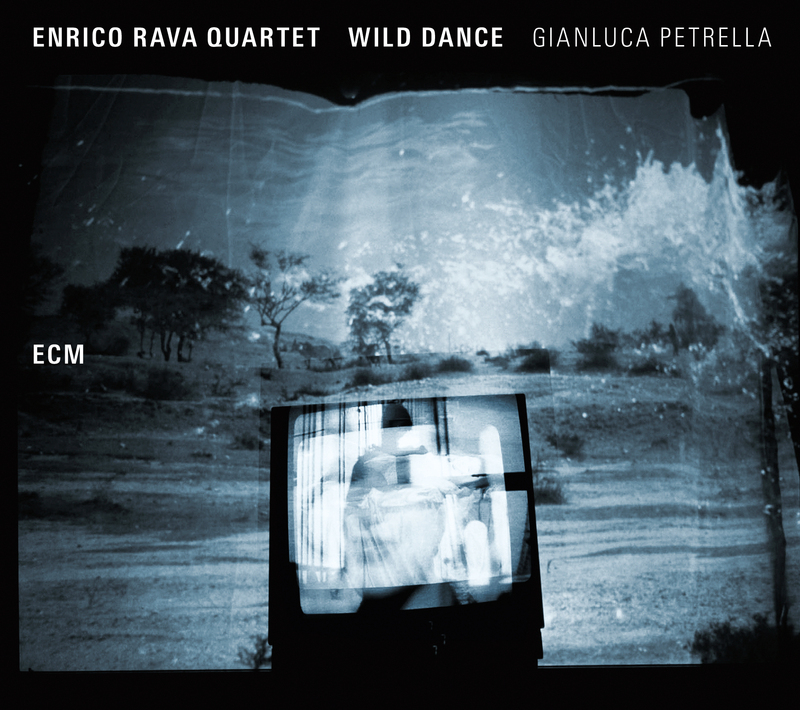 Wild Dance documents yet another chapter in the career of Italian master trumpeter Enrico Rava, who for this outing has assembled one of his most exciting bands to date. Along with guitarist Francesco Diodati, bassist Gabriele Evangelista, and drummer Enrico Morello, he welcomes back into the fold trombonist Gianluca Petrella, whose darker brass has added memorable contrast to Rava’s quintet albums over the past 13 years. 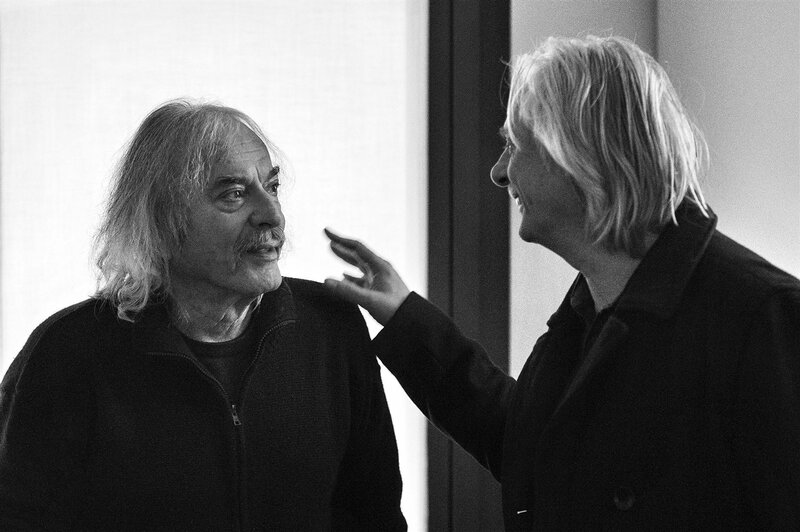 Just as many Rava originals, both new and old, populate the set list of this latest ECM collaboration, with a collective improvisation added in for good measure. The latter format, which falls penultimate in the set list, is a good litmus test for any jazz outfit, and in this respect the band succeeds beautifully. Overlapping just enough to yield thematic intimations while allowing each instrument to speak personal truth, it journeys with optimism on its sun-faded sleeve. All of which makes “Diva” all the more alluring for noir-ish saunter. In keeping with that atmosphere, the band caresses every flutter of Rava’s hardboiled romanticism with austerity. Diodati and Evangelista are this opener’s heart and soul, stretching and tensing by turns as Rava walks the alleyways in search of connections. “Space Girl” continues the thread with similarly half-lit cinematography, by means of which Morello discloses the underlying bonfire of physiological activity required to pull this music off with such smoothness of intuition. Enigma is the name of the game in “F. Express,” which by electronic whispers opens a dialogue of swinging proportions. This also happens to be one of its composer’s finest throwbacks to hit the digital shelves in some time, and is an album highlight—not only for its atmospheric acuity, but also for the archaeological care with which it is unearthed. A lone bass introduces “Sola” at length before the core-tet fleshes its skeleton with dreamlike locomotion. As if talking in his sleep, Rava spills inner secrets with the offhandedness of a sigh. “Overboard,” for its part, recalls the album’s moodier beginnings and finds the band gliding over shifting waters. In tandem with the unmistakable trumpeting, Diodati surprises with a gritty solo that stands out in an album of many standouts. All of this and more abounds in “Frogs,” which showcases the band’s vibrancy to its fullest. Every instrument sings in this roving gallery of impulses and rhythm changes, making for a fitting closer to one of Rava’s finest.